You must have come across scratch tickets sometime or the other. Together with online bingo, they are present everywhere now and known by various names like scratchie, scratch cards, scratch-its etc. Now even cell phone companies are using scratch cards for storing and selling pin codes. Be it instant lotteries, promotional offers by companies, gambling, or even online games, scratch cards have fans everywhere. Where luck was supposed to be the sole factor for winning at scratch cards, now people have started devising strategies for winning. 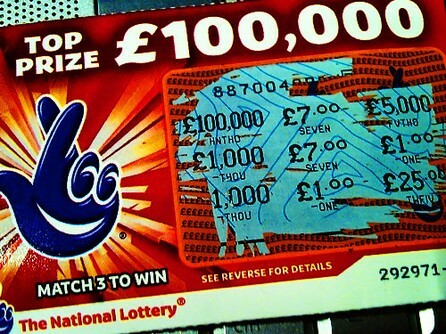 The phenomenon of scratch tickets dates back to early 1970′s, when scientists used computer algorithms to generate instant lottery. Astro Med Inc. received the US patent for scratch tickets in 1987. Early scratch tickets required users to match a few numbers which were the same as the winning amount. If they scratched off, and numbers matched they won the same amount. As the game started becoming popular, people were required to scratch-off and match particular images or symbols. These games also started to churn out variation of famous gambling games like poker or blackjack. If not games then they used to be linked with a common theme like NASCAR or baseball or comics. Scientific Games Corporation is the major manufacturer of scratch cards around the world. Scratch tickets are cardboard made tokens that might have a particular area containing information or might have multiple areas securing information. These areas are covered by an opaque substance (usually latex) which can be scratched off to reveal the information. Sometimes you need to scratch only a part of the area to figure out whether you have won or not. At other times you might have to scratch off the entire covering to know if you have won or not. In some other cases, like in a quiz, you might only be required to scratch a particular area which pertains to the correct answer. In gambling, the winner of the game may depend upon which areas on the card have been scratched. In cases like these, once multiple areas have been scratched, you cannot use the card again. Though, you do have the liberty of checking out the answers afterwards by scratching the remainder of the card. Scratch tickets have become increasingly popular amongst companies to promote sales. Companies have started utilizing the fact that people are fonder of instant winnings. With scratch tickets, they are able to provide customers a chance to get an instant reward. The fact that scratch tickets are very cheap is an added bonus. They produce a lot of scratch tickets, with most of them having some small prize or the other, and a few of them containing a mega prize. They then bundle off these tickets along with some products. This has been a very effective way of increasing sales. Over the past few years there has been a steep rise in the popularity of scratch tickets as compared to other lottery games. The main reason for this is the fact that you don’t have to wait for weeks or months after purchasing your scratch ticket as is the case with lottery tickets. Here the pay off is instant. So it is no surprise that scratch games are increasing in popularity over the internet as well. Online games provide a lot of added benefits. All you need to do is purchase a few tickets through some credit, scratch them online and if you win then you don’t have to wait; the money or the award is given to you instantly. Numerous variations of these games are coming up to keep players interested. You may say that this is a game of pure luck and you cannot predict what is going to be beneath a scratch card. The fact that you cannot know what is hidden in a scratch card is indeed true. But off late, lottery commission has revealed that a series of scratch tickets go un-purchased and yet all the winnings have been claimed. This indicates that cards having prizes are bought up first. So, it might be possible that the efforts being put at understanding the patterns of wining at this particular game are paying off. Apart from these attempts at understanding the winning patterns, there are a few simple steps which you can take to avoid purchasing the losing ticket. Quite often, people don’t check what the prize is, or whether it has been claimed or not. If the prize has already been won there is no point in purchasing a ticket. Scratch cards are very cheap. So, it is highly recommended that you buy a whole bunch of them at one go, which increases your chances of winning. Always have the ticket you have checked by the computer so you don’t end up throwing the winning ticket accidentally.